Fruitless Pursuits: Half Hour History Episode 4: Traveller Funerals! 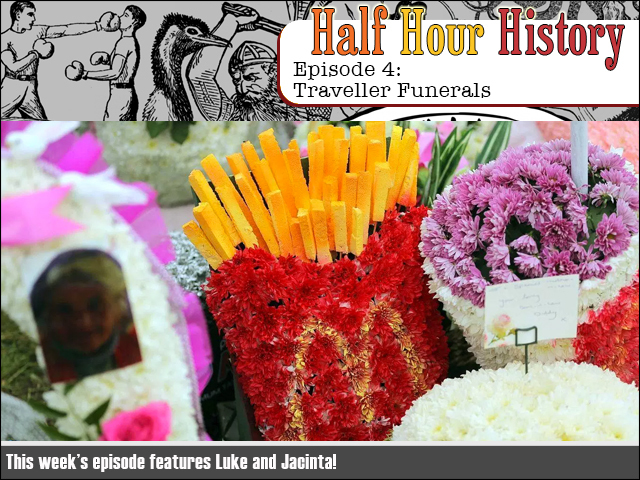 Half Hour History Episode 4: Traveller Funerals! This week we learn all about another culture's customs as we wrap our heads around the lavish funerals of the travellers. It's the most fun you'll have listening to people talk about death today! FPcast for July 3 2017: Transformers Last Knight!